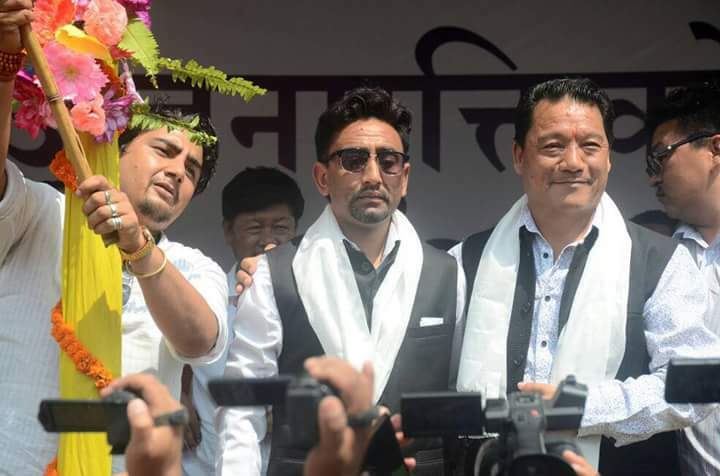 Politics is indeed a very weird field, just a day is left to polls and Kalimpong Ward 1 candidate Pawan Sundas has quit the party and joined GJM. Explaining his move Mr Sundas said, "there is no discipline in TMC, we Hill people are used as per their convenience... I was canvassing in my ward and later TMC party boss Arup Biswas told me that an independent candidate Passang Tamang has better chances of winning so I was told not to canvass anymore and all TMC workers from my ward were told to support Passang... I had kept quiet for this long, but no more... this is why I joined GJM... a local party which respects local sentiments."